and we’ll do the rest. Speak to one of the team to discuss your holiday plans. We’ve been, we know - just call! Escape Worldwide S2264. We act as The Global Travel Group plc in connection with the sale of travel products. Unless specified as the operator, the Global Travel Group plc is the agent of ATOL protected Tour Operators and other principals. 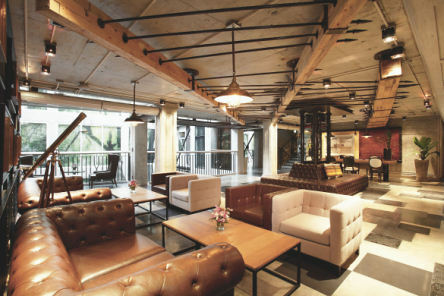 The Novotel Pattaya Modus Beachfront Resort combines industrial chic with elements from the old world, vintage furnishings, antique art, and bold colours and concepts, to create a unique and memorable visual experience! The private beach provides an exclusive setting for your perfect holiday. 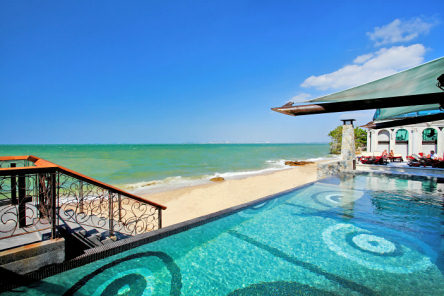 On Wong Amat Beach Pattaya set next to the famous Sanctuary of Truth. The resort is designed for couples and for families, and includes rooms with direct pool access, along with family suites that have special sleeping areas for children and feature self-catering facilities. Novotel Pattaya Modus Beachfront Resort has many amenities, which include a swimming pool, fitness centre, golf and mini golf. Breeze beach restaurant & pool bar is located right next to our pool, overlooking the gulf of Thailand, this is the best place to have a light meal by the pool and enjoy exotic cocktails or refreshing smoothies. Modus Gourmet Restaurant is an All Day Dinning restaurant serving a buffet breakfast and a la carte lunch and dinner options. Pastas, authentic Italian oven-baked pizzas and other international and Asian cuisine is available. Twilight Terrace Bar provides panoramic views of the Gulf of Thailand. 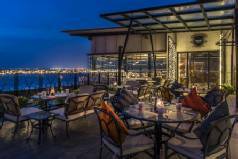 Perfect viewpoint to enjoy the sunset with exotic cocktails and premium wines. The details shown here are correct to the best of our knowledge, however, they are provided for guidance purposes only. Please check the details of any features that are important to you at the time of booking. We like this hotel because . . .
2019 package holidays to the Novotel Pattaya Modus Resort Prices are per person based on two sharing. Prices include flights, transfers and accommodation, and are subject to availability. Flights from Heathrow - other departures also available, call for details. Holiday code T0518W.